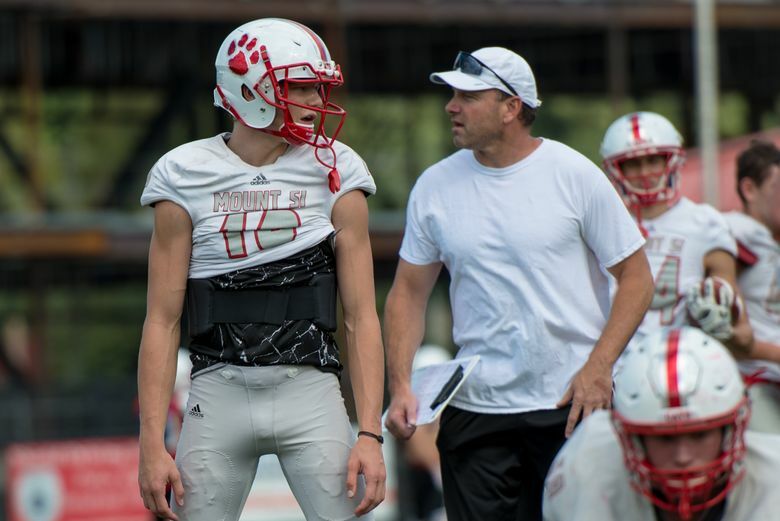 The son of former Washington and NFL quarterback Hugh Millen is showing his own skills for the Wildcats. He passed for over 400 yards and seven touchdowns in a game as a sophomore. It took a trip to Los Angeles for Cale Millen to find himself. There, on a refrigerator door, was a picture of the University of Washington’s key 1983 offensive players, shirtless in short shorts on a Hawaiian beach. Millen stepped closer to see it was his father Hugh and the owner of the home, Mark Pattison, when the Huskies played in the Aloha Bowl. Of course Cale knew his father was a UW and NFL quarterback. Strangers still ask Hugh for autographs or to coach their kid. 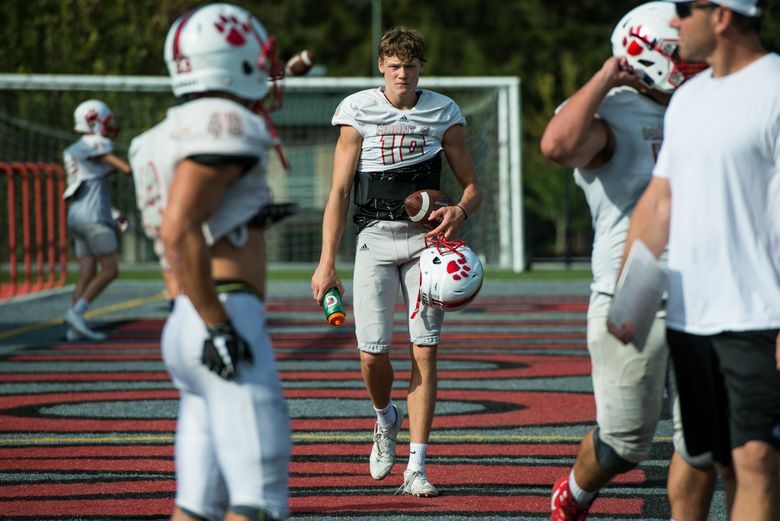 And there’s always that, “like your dad” line when someone connects Cale’s last name as the starting quarterback for Mount Si. With memorabilia from the Orange Bowl — where Pattison made a heroic catch — and 10 years as a pro stashed in boxes, Cale didn’t know how much he resembled the young Hugh, or what’s possible for him as a football player until spotting the photo and asking to see game footage. 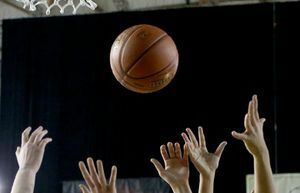 “For whatever reason, I hadn’t seen it before, but I could see he was a late developer and I’m a late developer,” said Cale, a junior who added 30 pounds to his 6-foot-3 frame during the offseason. A recent physical showed Cale will likely grow two more inches, like his father did before walking on at UW. Not that Cale is a slouch. As a sophomore last year, he started five games and set a school record for passing yards (402) and number of touchdowns thrown (seven) in a single-game. 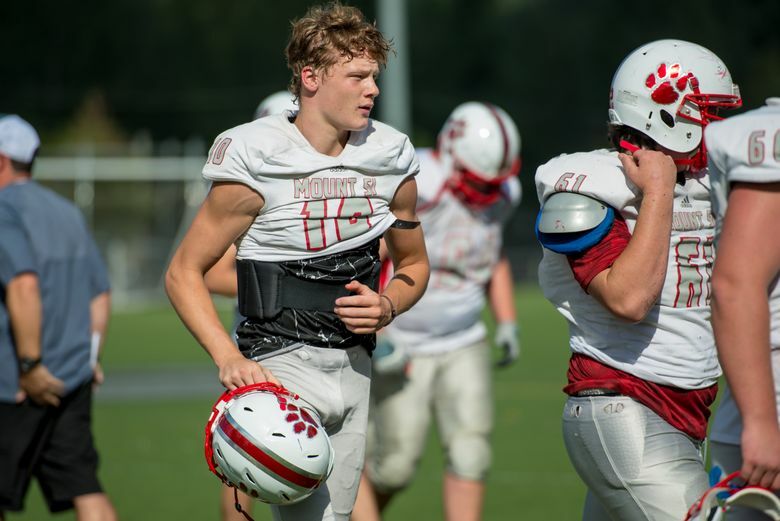 Mount Si is off to a 2-1 start this season, losing to Bothell after a week where the team couldn’t practice outside due to smoke from wildfires. In a 28-25 win against Eastlake on Friday, Cale completed three passes for 80 yards in the game-winning drive with under a minute left. The Wildcats kicked a 26-yard field goal with one second on the clock to clinch the win. Cale has 695 passing yards this season with eight touchdowns and two interceptions. 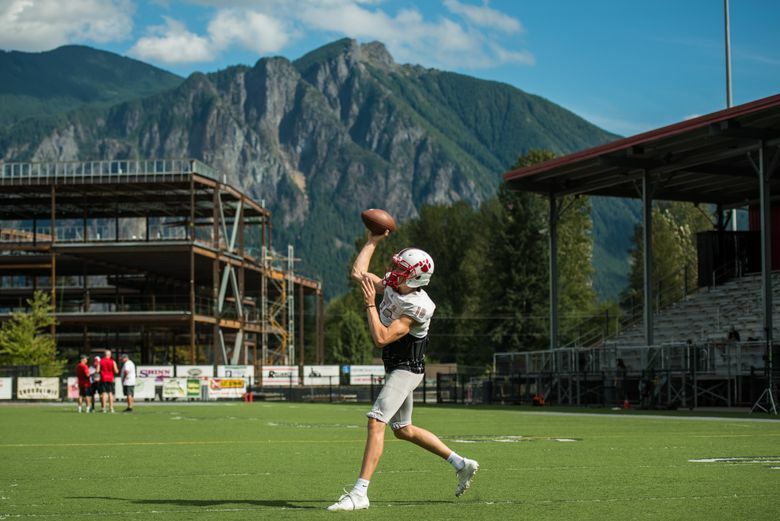 The Millens, including younger brother Clay, a freshman quarterback, spend summers in an open field by their Snoqualmie home working on footwork and throwing form. 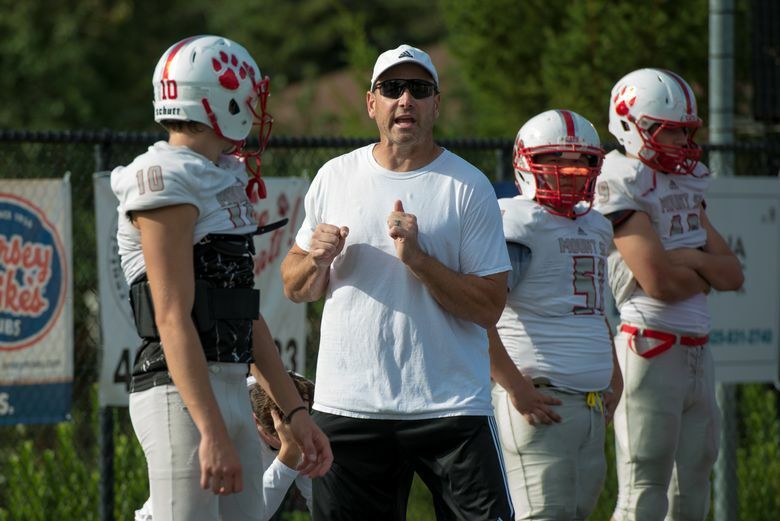 Hugh is also a coach for the Wildcats. Cale started playing quarterback at age 8 because he was the one who could remember the plays. Despite being a standout in swimming, lacrosse, baseball and basketball, he continued to come back to football. By junior high, it was Cale’s passion. He names Tom Brady as an idol. Cale said the bond between this season’s players is the best he’s experienced. Senior Collin Fleisch, the starting center, said his quarterback helped cultivate the unity by starting a roll call for offseason workouts and tracking teammates down who missed lifting sessions. 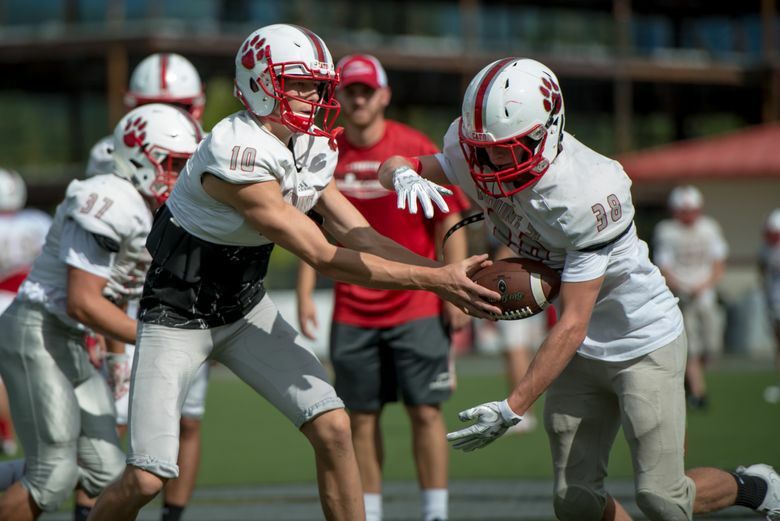 September was a big focus because Mount Si plays Kingco 4A’s top teams in Skyline, Bothell, Eastlake and Woodinville in the opening four weeks. 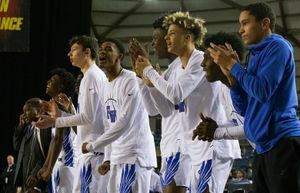 The Wildcats, which missed the playoffs last year, defeated Skyline 41-30 in Week 1. And now Cale knows of a photo to prove it. 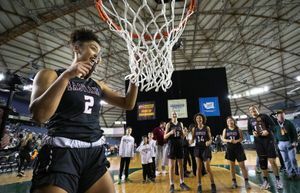 Jayda Evans: 206-464-2067 or jevans@seattletimes.com. On Twitter @JaydaEvans.